Over the five-day DUI crackdown conducted during the July 4th holiday weekend in Colorado, law enforcement authorities across the state made 312 DUI arrests, according to the latest report from the Colorado Department of Transportation (CDOT). Notably, the DUI arrests made over the 2016 July 4th crackdown represent the reversal of a four-year trend in Colorado. That’s because, since 2012, the arrests for this period have been consistently declining, dropping more than 50 percent. This year, however, July 4th DUI arrests in Colorado jumped up more than 8 percent (when compared to last year’s numbers). LEAF July campaign, which is currently underway and will continue through the entire month of July – This effort is being backed by nearly 40 law enforcement agencies in the state. Checkpoint Colorado, which is also currently underway and will run through September 12, 2016 – This is being supported by the Denver PD, as well as the sheriff’s offices in Jefferson and Montezuma Counties. Sturgis Rally 2016, which will be kicked off on August 5th and run through the 15th – This campaign is being supported (so far) by at least 20 law enforcement agencies throughout Colorado. 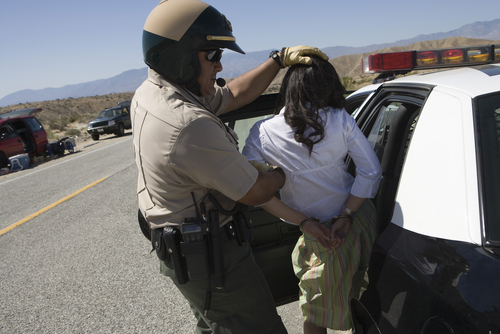 Calling the experienced Denver DUI lawyer at the Griffin Law Firm ASAP after an arrest. If you or a loved one has been charged with a DUI (or another offense) in Colorado, you can turn to the Denver DUI lawyer at Griffin Law Firm for experienced help and the best possible defense. With nearly 20 years’ experience in the criminal justice system, our attorney understands the complexities of the system, the challenges different defendants can face and the best ways of overcoming these challenges to bring criminal cases to successful resolutions.